Can we talk about sustainable clothing? What do we do at Bamford to lighten our footprint? Over the course of this year, as the spotlight has been shone on plastics and reducing global waste, the fashion and clothing industry has in turn also come under increased scrutiny. As consumers we are finally beginning to ask more questions about the way our clothes are produced, the waste the fashion industry generates and the impact this has on our planet. Most importantly, we are finally acknowledging that ‘fast fashion’ and our culture of throwing away garments as soon as that year’s ‘season’ has passed is simply not sustainable for the earth – far worse, it’s devastating it. The figures about how much of the earth’s resources we lean on to make garments and how much space we take up to store discarded clothing in landfill are terrifying. Since we first launched Bamford’s line of clothing twelve years ago, our focus has always been to produce garments that are timeless in their design and made to last – we want you to wear them for years and we certainly don’t want you to throw them away. This begins with the natural fibres we work with; they are of the highest quality, meaning that they will not lose their strength or appearance in the way that man-made or lower-quality fibres will. I am very proud of the fact that one of our store managers in London continues to wear a Bamford knit that she has had for 10 years. One of the questions our team at Bamford and I are most often asked, is ‘how sustainable is your clothing?’. The honest answer is that when it comes to clothing, sustainability is a term that is very hard to define; there are so many facets and factors that come into play when you consider what makes something sustainable that it’s questionable whether we can define it or talk about sustainable clothing at all. There are so many conflicts: environmental impact versus buying Fairtrade; organic versus local. Organic cotton may be grown using methods that have a low impact on the environment, but if that cotton is then turned into garments that are discarded after a season or shipped across the world creating carbon emissions, can we really call that sustainable? One of the hurdles we come across is that there is no over-riding governing body for the industry. Unlike the organic food industry, which is regulated and has its standards certified by the Soil Association, in clothing it is up to designers and companies to be responsible for our actions and to be transparent with our customers. We produce clothing, and to do so we use the earth’s resources, but there are things we can to do lessen our environmental impact. This needs to start with a careful assessment of the entire supply chain – to trace it right back to the raw materials and to look at where those garments may end up – and when. At Bamford, we examine each step of our design process and lifecycle of our garments from conception to store, and even beyond. I’ve put together a short list below, which outlines just some of the steps we take. 1. Everything begins with the fibres we are choosing and the way these fibres are dyed. We have made significant investment in Greenpeace’s certified Detox yarn, which gives us absolute confidence that we are minimising any harmful chemicals being released into the water and into nature. 2. We look at the waste we generate throughout our entire production processes. 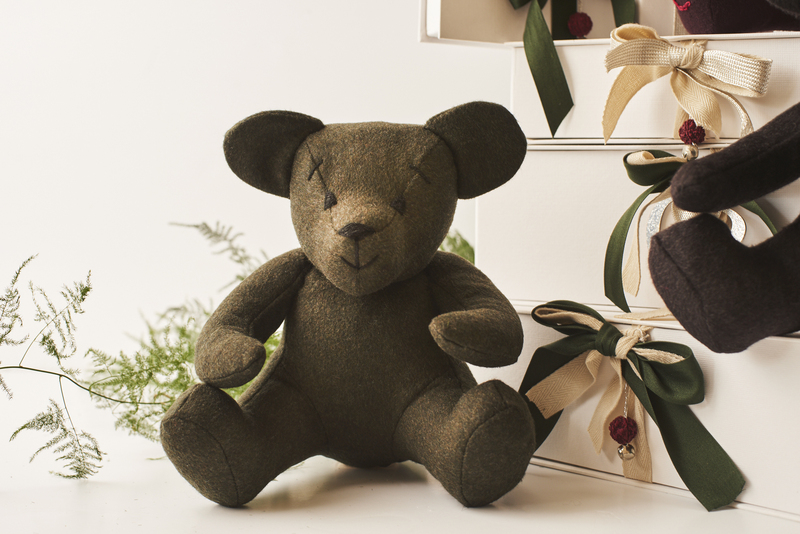 Whether it’s reducing our energy consumption, water or the fabric that’s left on the cutting room floor (we give these offcuts new life as Christmas teddy bears for children), we are continuously trying to make improvements at every level. 3. We do not only consider the environmental impact of our actions but also our social responsibility. Many brands using the terms ‘organic cotton’ and ‘sustainable fabrics’ as catch-all terms to imply that they are being responsible, yet in fact they are producing thousands of units at a very low cost with little regard for the working conditions of their makers. We continue to support smaller factories where we know the factory workers are treated fairly and have a positive healthy working environment. 4. We also look at the garment’s life beyond the point of sale. 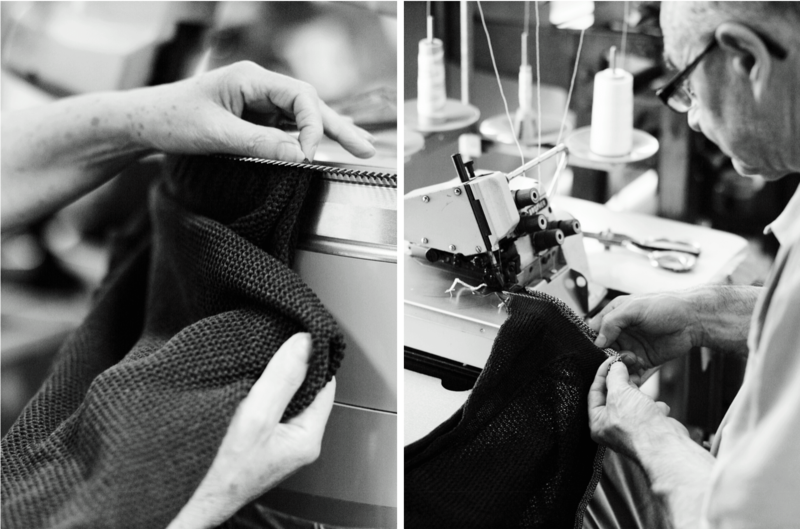 We provide a free repairs service whereby if your knitwear develops a nick or a hole, you can return it to us and we will send it back to the maker to have them mend it for you; and an in-store cashmere wash to care for the delicate fibres without using harsh chemicals. It’s an insightful sentiment, one that mirrors my own thoughts on the subject and the values we strive to uphold at Bamford. We’re not perfect but we’re doing everything we can to examine our behaviour, to change and adapt and to take responsibility for our garments and their lifecycle to help you as consumers make the best choices you can.